The characters remain amazing. Meyer has found a way to make her heroines and heroes both strong and vulnerable. The women are especially powerful – the final confrontation between Cinder and Levana was an epic standoff…between two women! That doesn’t happen nearly enough. I also really liked Winter, and how her mental breakdowns were viewed as weakness by ignorant bad guys, but as strength by those who know her. And Thorne remains the dashing snarky hero of my heart. Maybe part of what didn’t keep me riveted was the fact that this is, at its foundation, a fairy tale (a Disney one, not a Grimm fairy tale). No matter how many cyborgs and mind-controlling villains you include, I never really felt like anyone was in danger of losing their happily ever after. Which is nice, I guess, but the stakes didn’t feel very high. This is such a boring review. I’m sorry! If you like The Lunar Chronicles, you will enjoy the finale. I didn’t get as invested in it as I did Cinder and Cress, but I’m definitely glad I read it. I would definitely like to read more cyborg fairy tale retellings! Winter despises her stepmother, and knows Levana won’t approve of her feelings for her childhood friend, the handsome palace guard, Jacin. But Winter isn’t as weak as Levana believes her to be and she’s been undermining her stepmother’s wishes for years. Together with the cyborg mechanic, Cinder, and her allies, Winter might even have the power to launch a revolution and win a war that’s been raging for far too long. Can Cinder, Scarlet, Cress, and Winter defeat Levana and find their happily ever afters? 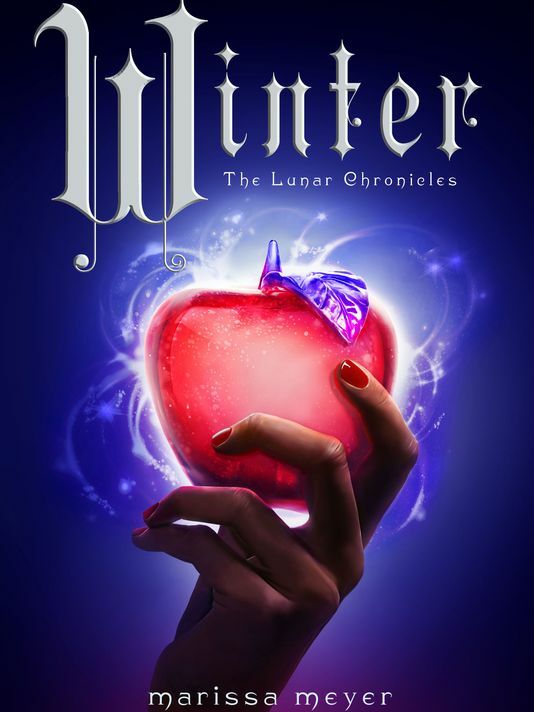 Fans will not want to miss this thrilling conclusion to Marissa Meyer’s nationally bestselling Lunar Chronicles series.